The Exigo ISO Lateral Leg Press is an advanced strength training station targeting the Quad’s and Hip Flexors. Part of our market leading plate loaded range. 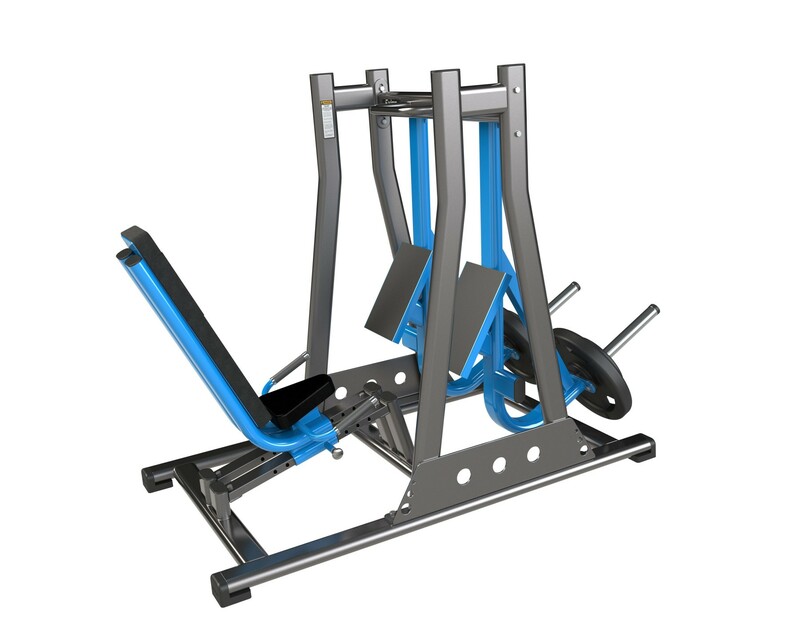 This exceptional piece of kit features ISO Lateral technology, this allows independent leg training for equal strength development. Incorporating large foot plates and a fully adjustable starting position to accommodate all users. Engineered with a heavy duty frame and premium components to produce a leg press machine ready to withstand a lifetime of intense workouts. Finished with a durable high quality epoxy powder coated finish and hard-wearing upholstery. The Exigo ISO Lateral Leg Press is a must for any commercial gym or strength and conditioning facility. Proudly designed and manufactured in our very own UK factory with a mainframe lifetime guarantee. Here at Exigo-UK, we pride ourselves on being able to offer a comprehensive variety of customisation options. Choose from one of our standard primary or secondary colours, or get the exact match you require from the many other colour options available on request. Our secondary colours offer a textured finish, which we recommend for increased grip on bars and grip points. We offer a choice of 12 standard upholstery colours, with the option of custom upholstery branding protection wraps. Other non-standard colours are available on request. All of our equipment is designed & manufactured in our UK factory, giving us complete control over our products. This allows us to engineer custom frame sizes and other requirements to fit your individual needs. Our team of expert in-house designers can produce a full 2D/3D concept gym design to bring all your ideas to life and help you to realise the full potential of your facility. Please note: Actual colours may vary slightly from visuals. An advanced strength training station targeting the Quad’s and Hip Flexors Successfully targets muscles in the lower limbs Independent leg training for equal strength development Incorporating large foot plates and a fully adjustable starting position to accommodate all users Engineered with a heavy duty frame and premium components Ready to withstand a lifetime of intense workouts Finished with a durable high quality epoxy powder coated and hard-wearing upholstery A must for any commercial gym or strength and conditioning facility Proudly designed and manufactured in our very own UK factory Mainframe lifetime guarantee.